Woo hoo! Summer is here. Wallace Stevens once said, “The summer night is like a perfection of thought.” And we couldn’t agree more. Seriously, what’s there not to love about summer? Sunshine, flip flops, good food, and old friends – roll that all together and you’ve got yourself the makings of a perfect party on the patio. But don’t stress if you don’t have the end-all, be-all of outdoor kitchens. We at Mr. Appliance® have five DIY outdoor kitchen must-haves to create the perfect atmosphere and ambiance for your next outside party. Let’s face it. You really can’t have an outside patio without a grill. Food is kind of a big deal at a party. And you have to admit, there’s something fun and nostalgic about waiting around for your food to cook as the fragrant aroma teases your taste buds to the point where you’re almost drooling. But outside grill setups can be pretty pricey. No worries. 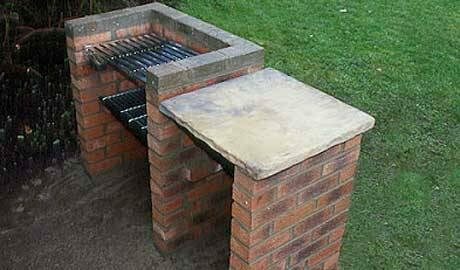 Here’s a great how-to with instructions to build your own outside grill – easy and impressive. Patio lighting helps set the mood as the summer sun fades into the night sky. You can go fancy or casual. How about using cupcake holders and twinkle lights for a fun twist or stringing lights around a hula-hoop for a fancy chandelier? 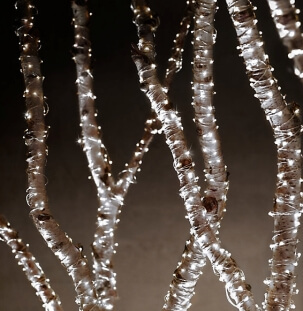 Here’s a great link with ideas to get you started on a DIY outdoor lighting project. Summer is just naturally a time when things can and will get sticky. Having an outdoor sink is not only convenient for the chef, but it’s also great for those seasonally sticky situations. The cool thing is you don’t have to break the bank on a sink. You can actually do it yourself, even on a limited budget. You want folks to be comfortable, but you also want your sitting area to match your style and personality. Anything goes…from lawn chairs and beanbags to benches and swings. 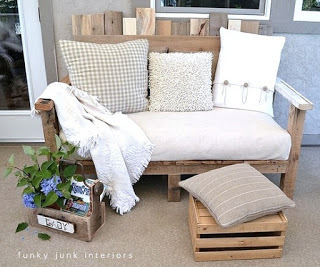 You can even make your own furniture to add a bit of a personal pizazz. The possibilities are really endless. What’s a patio party without some good ol’ summer tunes? Keep the music lively and fun, but not so loud that folks are screaming at each other. 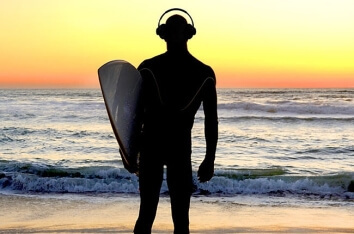 And if you need some help getting your playlist started, here’s a listing of top summer songs that can help set your summer-time mood. So, there you have it – five easy steps to get your outside kitchen ready for a party on the patio. Have fun and enjoy your summer!